KATHMANDU, May 15: A total of 40 climbers have scaled Mt Everest or Sagarmatha on Monday. Liaison Officer of Ministry of Culture, Tourism and Civil Aviation Gyanendra Shrestha told RSS from Mt Everest Base Camp that 40 climbers including foreigners climbed Mt Everest on the second day of this expedition season. "As per the information received by us, 40 climbers have confirmed to have reached atop Mt Everest. 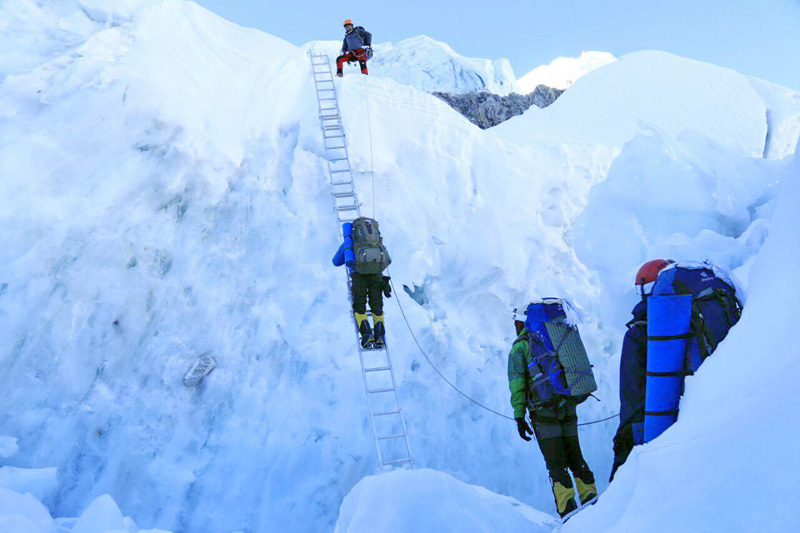 Some more climbers are learned to have reached the peak but it is not officially confirmed yet," Shrestha said. Around 150 climbers have reached Camp-IV waiting for the favourable weather in the Everest while some others are on the Everest Base Camp. Meanwhile, a double amputee Chinese national has reached the top of Everest, Shrestha said. Shrestha said that 70-year-old Xia Boyu climbed Mt Everest on Monday morning through the Imagine Treks and Expedition. The Chinese national was attempting to scale Mt Everest for past 40 years. Prior to this, he had attempted to scale Mt Everest in 2015 but quit his expedition due to earthquake in Nepal. Likewise, six other Chinese nationals also scaled Mt Everest today itself. Along with seven Chinese nationals, Nepali nationals Tamting Sherpa, Kili Pemba Sherpa, Ang Tshering Sherpa, Tendi Sherpa and Dawa Gyalgen Sherpa also reached the top of Mt Everest. Liaison Officer Shrestha shared that Nepali climber Nima Jangmu Sherpa has kept record by scaling Mt Everest and Mt Lhotse in a single season. Sherpa had scaled Lhotse on April 29 and conquered her journey to Mt Everest on Monday. This year, altogether 364 climbers of 38 expedition teams including four Nepalis have set their journey to Mt Everest. In last spring season, a total of 366 climbers of 43 expedition teams had reached the top of Mt Everest.